Why wait to build? 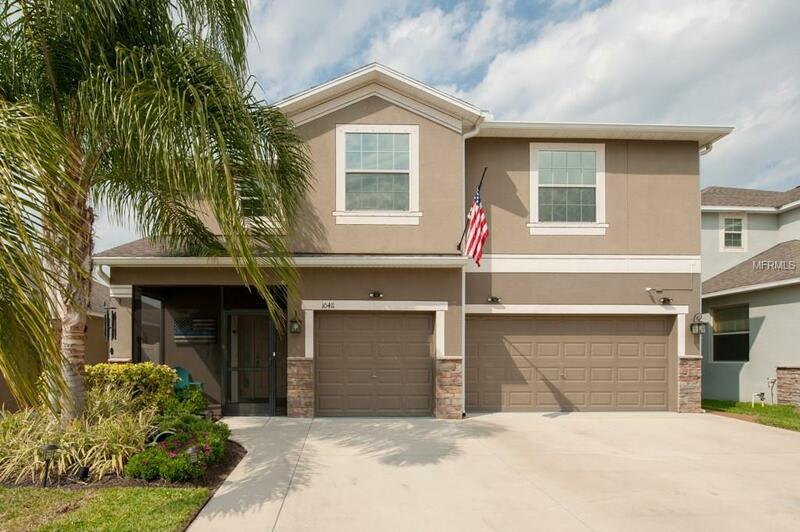 This pristine 6br/4ba/3cg home was built by Lennar in 2013 & has been beautifully cared for! Located in well-established Wilson Manor, this two story home showcases 3332SF of living space with tons of upgrades throughout. A charming screened front porch welcomes you upon arrival. Diagonal laid tile flows throughout the foyer & into the main living spaces. The eat-in kitchen is loaded w/upgrades which include stainless steel appliances, solid wood cabinetry adorned w/crown molding, granite countertops, a glass tile backsplash, a breakfast bar, & walk-in pantry. The formal dining room is picture perfect for celebrating all those special occasions. There is one bedroom located on the first floor, perfect for an office or guest room! A spacious second floor bonus loft offers great additional flex space & would be perfect for a playroom or teen space. Upstairs you will also find 5 additional bedrooms, all bright & offering ample space. The master bedroom is a true retreat! Oversized w/a separate sitting area, you will fall in love w/the spa-like master bath! With a laundry room on the second floor, your days of lugging up & down the stairs are over! Home includes security cameras & is pre-wired for surround sound. Relax & enjoy your private outdoor oasis! An oversized screened lanai overlooks your beautifully landscaped, fenced backyard. Wilson Preserve is a wonderful community featuring a beautiful pool & no CDD fees! Conveniently located w/easy access to I-75, US-301 and US Hwy 41.